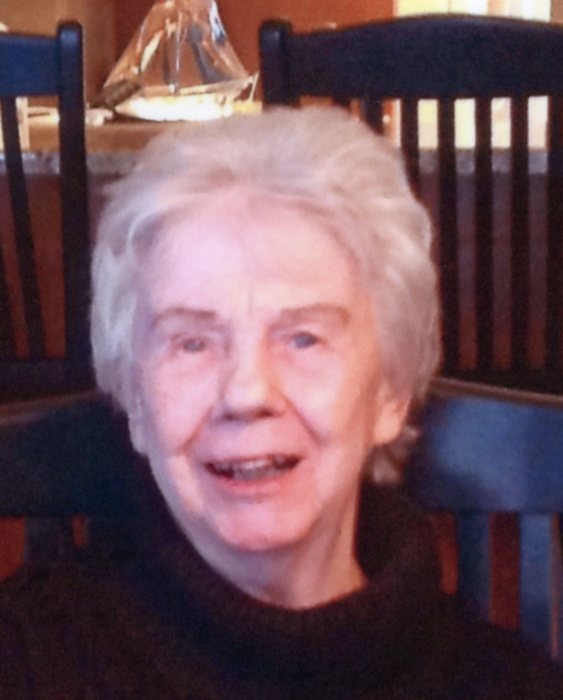 Carol Ann Hansen (nee Anderson), 90, of Sturgeon Bay passed away at Pincrest Village in Sturgeon Bay on April 9, 2019. She was born April 6, 1929, the daughter of Endre and Esther (Olson) Anderson. Carol attended Silverdale Grade School and graduated from Sturgeon Bay High School. After high school, Carol moved to California for employment. Upon her return, she met and married Robert Hansen of Oak Park, IL on December 5, 1952. They were both employed in the Chicago area for many years. Carol and Bob spent their summer months in the Sawyer Harbor area in Idlewild where they eventually built a home to enjoy. They later retired to that home. They had a passion for every kind of boating and were fortunate enough to take their boats and explore the beautiful towns in Michigan and Wisconsin that lie on Lake Michigan. Carol and Bob went on a couple Caribbean island cruises and even ventured all the way to China to visit her daughter and son-in-law where they visited the cities of Beijing, Xian and Shanghai. Survivors include her daughter Karen (Chuck) Hyttel, Sturgeon Bay; two grandsons, Bob (Wendy) Hyttel and David (Linley) Hyttel, all of Winter Garden, FL; two great-grandsons, Chase and Weston; a brother Richard (Kathryn) Anderson; many nieces and nephews. She was preceded in death by her parents, son John, husband Robert, and siblings: Everett (Marie) Anderson, Betty (Emil) Mickelson, Ardis (Henry) Witt, Janice (John) Hogan; and her brothers-in-law, Jack (Sandy) Hansen and Charles (Lorraine) Bremer. Private family services will be conducted. Memorials may be directed to help Carol’s 5 year old great niece Harper Dubauche who is battling cancer. To make donations on-line google Harper Dubauche to find the go-fund-me page or mail donations to Mike Dubauche at 405 S. Washington St., DePere, WI 54115. Special thanks to Unity Hospice for the care and support, and to the staff and residents of Pine Crest Village for the love and special attention given to my mom.